You have Permanent Change of Station (PCS) orders. You also have a home purchased with a VA loan. This isn’t a particularly unusual situation, but it does mean that you need to make some decisions. What are your options when you’re undergoing a PCS with a VA loan? If you need to PCS with a VA loan, selling your existing home is one possibility. As Vantage Point, the official blog of the VA, indicates, selling your home and repaying your VA loan in full restores your entitlement. The restoration of your entitlement means that you can reuse your benefit to secure another VA loan for a home in your new location if you decide to buy there. Assuming a mortgage allows a qualifying buyer to take over an existing mortgage without changing its terms (source). VA loans are assumable, which can be a great selling point when you’re searching for a buyer for your home. That’s because the terms of VA loans are generally very favorable. A buyer assuming a VA loan doesn’t have to be a veteran, but they do have to have the income and credit to qualify for a comparable loan. SELECTED FOR YOU: What Does PCS Mean in the Army? However, opting to go this route can come with a hidden cost. If the buyer doesn’t have a VA entitlement of his or her own, your entitlement remains tied to the loan. You won’t be able to access that portion of your entitlement until the loan is paid in full. This might limit your ability to secure another VA loan in the future, so before you choose this option, be sure to weigh the pros and cons carefully. What if the circumstances aren’t favorable for selling your house? Although VA loans can only be used to purchase a house that you intend to make your primary residence, you aren’t stuck there. You are allowed to move out and rent the property. What if you want to buy a home in your new location? As realtor.com explains, lenders might consider a long-term lease agreement as a way to offset your old mortgage payment when evaluating you for a new loan. If they won’t, then you must have the credit and income to manage two mortgages in order to buy a new place to hang your hat. Also, it is important to note that the portion of your VA entitlement utilized for the original loan won’t be restored to you if you decide to keep your old home. 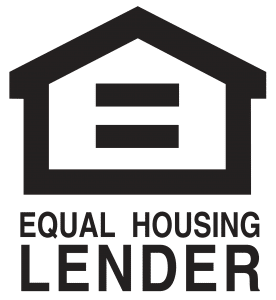 If you can’t or don’t want to sell your house and you also aren’t willing to become a landlord, keeping your current house without renting it is an option if you need to PCS with a VA loan. Again, the portion of your VA entitlement utilized for the original loan won’t be restored to you, and if you want to buy a home in your new station, then you have to have the financial wherewithal to support two households in two separate locations. It can be done. According to Military.com, if you want to hold onto your old house while purchasing a new one, you may even be able to qualify for a second VA loan. To do so, you’ll need the necessary financial resources and sufficient entitlement. What happens if you want to buy a home in your new location, but you chose a path that doesn’t restore your entitlement? You could opt for another type of loan to fund the purchase of a new home, but don’t immediately rule out securing a second VA loan. Thanks to something called your second-tier entitlement, you may be able to have more than one VA loan at once. This second-tier entitlement extends your buying power and is determined in part by your location. In most areas, combining your basic entitlement with your second-tier entitlement results in enough VA backing for a maximum loan value of $424,100. If your original loan amount was less, then you should have at least some of your entitlement left. Although you’ll still need to have adequate financial resources, you may be able to use this remaining entitlement to secure a second VA loan. If you need to PCS with a VA loan, get the facts before making any decisions about your housing. Contact PrimeLending: Manhattan, Kansas today for assistance. Every year, we help thousands of veterans and active-duty members of the military buy or refinance their homes through the VA home loan program. With our assistance, you can take advantage of the many benefits of a VA loan while saving money due to our lack of lender fees. We offer 100% financing with competitive interest rates – no down payment or PMI required! To learn more, please give us a call at 785-560-3011 or contact us online. It’s our turn to serve you!